The fastest manned aircraft ever built. Designed by humans. On paper. With slide rules. Invisible at Night. Undetectable by Day. Feared around the clock. Twin JP58 Engines. 11 Shock Rings. 32,500 lbf of force. Each. The SR-71 still holds many altitude and speed records for manned aircraft. If you're wondering why it was call 'Blackbird', you're missing the point of this photo. With an airframe that wasn't just functional. It was gorgeous. The Lockheed SR-71 Blackbird was a two-seat twin-engined long-range supersonic strategic reconnaissance aircraft produced by Lockheed Corporation. The SR-71 was capable of flying at speeds over Mach 3.2 and at a height of 85,000 feet (25,900 Meter). 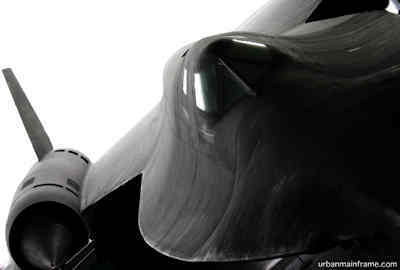 The SR-71 was in duty from 1964 until 1989 and during a reactivation from 1993 until 1998. 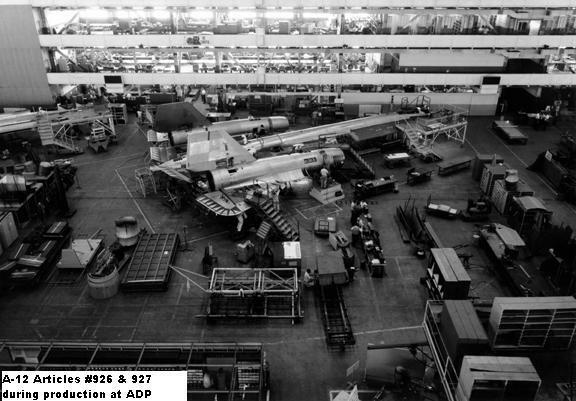 It was designed by the Lockheed Advanced Development Projects Devision aka the Lockheed Skunk Works. The Blackbirds still hold many speed, altitude and distance records for a manned aircraft. Sustained Horizontal Flight: 85,068.997 ft (25,929.031 meters) SR-71A (Tail #963). Los Angeles To Washington D.C.
Kansas City To Washington D.C.
Time: 1hr 54 min 56.4 secs. Average Speed 1,806.95 statute mph. 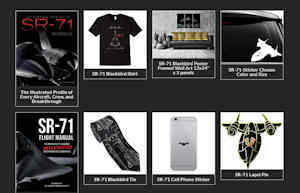 Want some SR-71 stuff? Visit our Store page to buy anything from books to shirts, to cell phone stickers. All from Amazon. Visit our Aircraft Listing page to find out where the surviving Blackbirds are on display. Listed by Tail Number and able to be filtered by the state they are in, you can read about their history and even find the SR-71 or YF-12 nearest you.